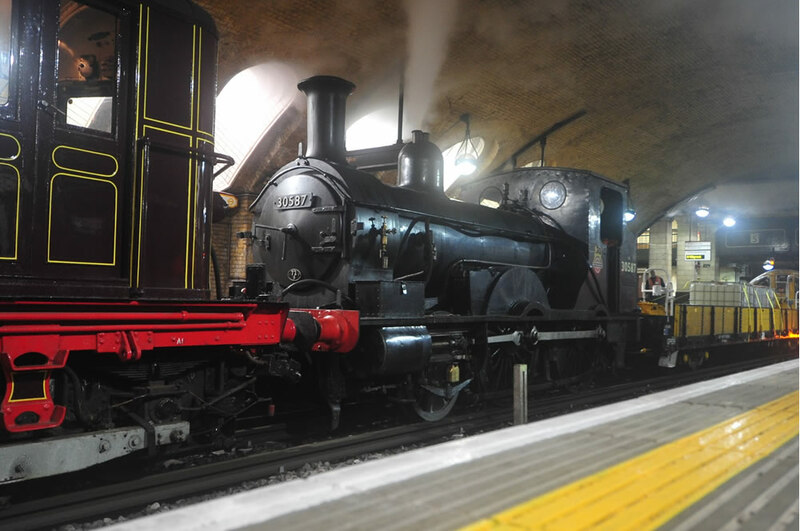 It has been something of an open secret that the London Transport Museum has been preparing for a limited number of Steam runs on the Metropolitan Line next year. Indeed in February we posted pictures of the L&SWR Beattie Well Tank being used to test steam on the Line (you can find those photos here and here). Due to popular demand for tickets and limited capacity on the steam train a public ballot will open on Monday 29 October 2012 (online application) at 10:00 and 5 November 2012 (phone application) at 10:00 and will close on Sunday 11 November 2012. 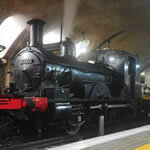 The ballot is for the opportunity to enter into a draw to purchase tickets for train runs on Sunday 13 and Sunday 20 January 2013. A maximum of 2 tickets per person can be requested and only 1 request per person. It will be possible to select the date and either first or standard class seats. It will not be possible to select specific seats or train departure times. Successful applicants at ballot stage will be selected at random by computer and notified from 19 November onwards. Those who are successful will be contacted to arrange secure payment, with ticket despatch scheduled to begin on 3 December. The ballot itself can be found here. The LTM have also posted a PDF containing timetable and pricing details for the runs. For ease of reading, we’ve transcribed it below. It also contains details of the runs planned with Sarah Siddons. We have boxed the steam runs in grey.